Our company has attained an important position as a chief manufacturer of Magnetic Pulley which has been the highlight of our services. 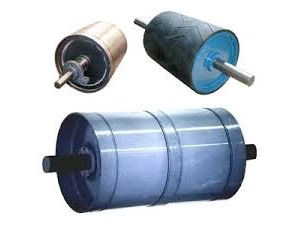 Being a quality manufacturer of Pulley, our intention is to cater to the multipurpose demands of our esteemed customers by offering an assorted range of Magnetic Equipments. Magnetic Pulley is also known as Head Pulley used for removing tramp iron and purify materials conveyed in bulk forms. Magnetic pulley is to be installed into the conveyor belt construction as a replacement of conveyor driving pulley. Our Magnetic Pulley equipments are manufactured to meet the variegated requirements of the clients as per industrial standards. Our Magnetic Pulleys have conquered distinct position among customer in domestic and international market. The magnetic pulley is broadly used in the recycling and material handling industries for the incessant removal of ferrous metal from non-ferrous metals. The magnetic pulley attracts smaller pieces of tramp iron from bulk materials. These pulley offered by us are made of quality steel, strong permanent magnets enclosed by stainless steel by welding. 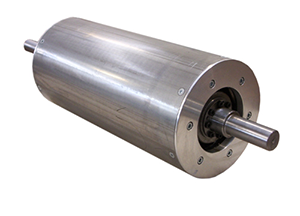 Our magnetic pulleys keep the conveyor line on-line, fast moving and efficient. It features a continuous radial pole design for high performance. This Pulley tends to fulfill clients requirement as per their need. The product is of best use in removing ferrous contaminants from powdery, Granulates materials like ore, coal, waste, sand etc.